A reminder and thank-you to all those at the Sheriff’s Office, and other emergency responders who served during the EF-4 tornado and its aftermath that took its tragic toll on Fairdale and its citizens, four years ago, April 9, 2015. 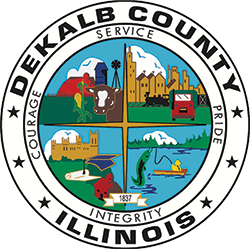 The DeKalb County Sheriff’s Office is warning the public of a telephone scam that purports to be and appears on caller I.D. as (815)-899-0757 which belongs to the Public Defender’s Office and then asks the citizen to call back at (815) 880-7322. When this number is called back there is an automated voice system claiming to be the DeKalb County Sheriff’s Office stating that “effective immediately the Sheriff’s Office no longer accepts cash, check, or money orders for payments of fines and restitution and only accepts a digital secure voucher format of payment”. There is also an automated list of voicemails for Sheriff’s Staff and Personnel that is not accurate. The Sheriff’s Office never calls residents soliciting for money or fees, fines, restitution, or for missed jury duty, or any other situations. All calls of this nature should be considered fraudulent and should not be complied with. Investigators are following up on this case. You may report such cases to the Sheriff’s Office at 815-895-2155 or contact your local law enforcement agency. 1. Never give in to high-pressure phone tactics. 2. Insist on having information regarding solicitation of money over the phone mailed to your address for review. 3. As always, do not give out personal or financial information over the phone. 4. Do not agree to allow the donation or fee to be picked up at your location, or at a meeting place. 5. Just hang up if an individual is uncooperative or intimidating. 6. Remember law enforcement agencies do not demand money over the phone.